…it got our tutors to the West End stage! All the Take the Lead tutors are successful Musical Theatre professionals with countless theatre credits to their names. They will guide you through a week of training in musical direction, singing and choreography, giving you invaluable tips and advice. Join our established tutors: Lucinda Brereton, Graham Newell, Omar Okai and Verity Quade. …that place is London’s leading creative conservatoire, Trinity Laban! 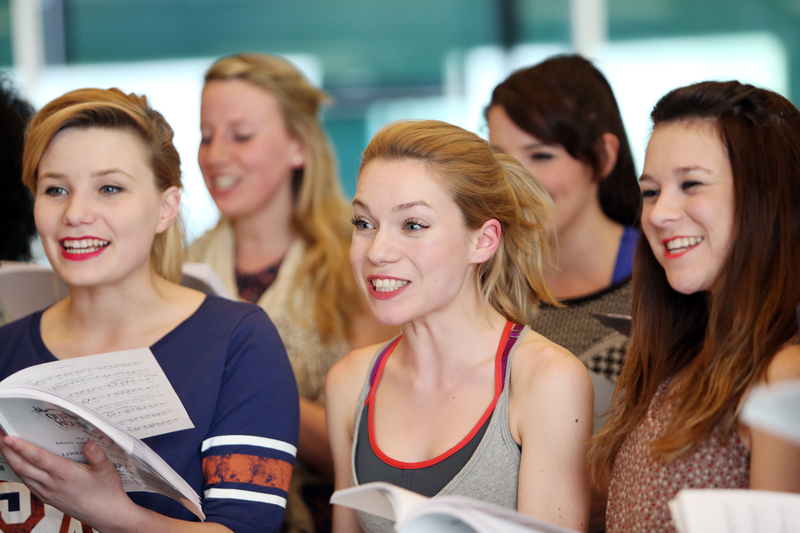 A week at Trinity Laban will leave you feeling inspired and motivated. You’ll have access to our award-winning facilities at the Laban Building and get a real taste of theatrical training at conservatoire degree level. A week of Musical Theatre training wouldn’t be complete without an evening trip to the West End! This is a perfect way to see everything you have learnt during the week in a professional west end show. Keep an eye out for more information on our website this April! Take the Lead is a fantastic opportunity to meet and train with people who share the same interests and passions as you. People of all ages come from all over the world to participate in the summer school; London welcomes you all! This is the perfect opportunity to make connections within the industry. Take the Lead will be a fantastic addition to any CV or further study applications. In addition to developing your skills, attending the summer school will demonstrate your passion and commitment to your musical theatre training. The optional extra acting and singing consultation lessons with industry professionals will make your CV and applications stand out from the crowd! Not to mention all the invaluable tips and tricks from the lessons! Meet Trinity Laban’s successful alumni and ask them all your questions about their journeys from Trinity Laban to the professional world of theatre! 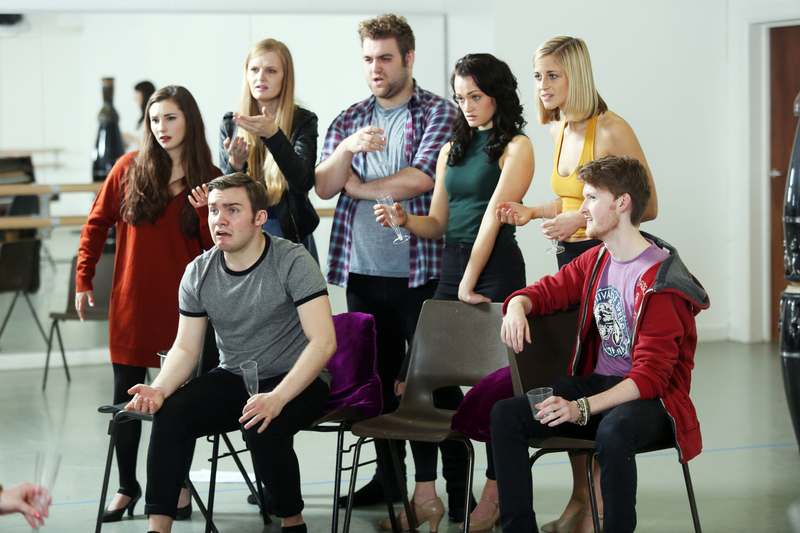 We caught up with Director of Urinetown Michael Howcroft (MH) & Director of Made in Dagenham Guy Unsworth (GU) ahead of this year’s musical theatre showcase at Stratford Circus. What are you most enjoying about working with the Trinity Laban students? MH: I directed The Clockmaker’s Daughter last semester here at Trinity Laban and the great thing about both groups of students is that they are all unique. They have an individuality and a quirkiness which makes them great fun to work with. The students work really well together and have a fantastic sense of humour! The group that I’m working with on Urinetown are particularly talented – considering they’re at the end of their second year and still have another year of training. They’re an exciting bunch! GU: It’s always great to work with final year students at the end of their training as they’re putting all their many skills into practice. This particular bunch each have their own character as a performer too, and this show is a chance for me to make the most of that. The musical itself is also a great showcase for everyone – there are great principal roles for some, and those with smaller parts are playing 3, 4 or 5 different characters. It’s a fantastic show to display their talent. What can audiences expect from the works? MH: Coming to see Urinetown, audiences can expect a funny, raucous, anarchic, political, thought provoking and fun evening at the theatre – with great tunes! GU: Made in Dagenham is brilliantly entertaining with excellent music and we’ve got a full band from Trinity Laban’s Faculty of Music which is tremendously exciting. Although it dates back to 1968, it’s also an incredibly relevant story today – it’s heart-warming, real and important. What are your favourite moments? MH: I’ve got lots of favourite moments. The writing is very clever. It has a brilliant way of playing with our understanding of musical theatre tropes – the things we take for granted with the form. For example, the love duet in the middle of act one where the hero and heroine get together, we’re given just enough sentimentality and then it’s subverted by doing something silly. There are lots of moments like that, something familiar is set up and then, hilariously, it’s finished off in a ridiculous way. It’s like a Mel Brookes movie. Or Vic Reeves and Bob Mortimer. GU: There’s a brilliant scene in the Ford-Dagenham social club with everybody in. It’s been a tricky one to put together but it’s really good fun – there’s music, dancing and a quantity of good jokes. Why should people come to watch the show? MH: Urinetown will be performed the week after the general election. Politics in the west has become incredibly polarizing in recent years and there’s a similar, if exaggerated, situation in Urinetown. The piece speaks to 2017 with a sharp political relevance, especially now Donald Trump has pulled out of the Paris climate agreement and the Conservative Party in the UK seem ideologically driven to privatize everything. Urinetown is all about what happens when the world runs out of resources; there’s a massive drought that means there’s no longer any water and people have to pay a private company, run by a corrupt, Trump-like businessman, to go to the toilet. If the world does not stand up to Donald Trump and his cronies (just look at the nasty business practices of Nestle, or Ivanka Trump’s dreadful employment conditions in China, not to mention the countless scandals Donald Trump has paid his way out of), the reality of Urinetown might not be so far away. Also, it’s not produced very often so it’s an opportunity to see a rarely performed piece. Finally, we’ve relocated the work. Urinetown is normally set in America, but because this year is Hull City of Culture and in 2003 there was a book called The Idler Book of Crap Towns with Hull as ‘crappest’ – we’ve set Urinetown in… Hull! GU: I love promoting student shows because the students are at a very exciting point in their career: they’re about to go out and do it for real. They are the undiscovered talents and in a year’s time they won’t be – they’ll be the discovered talents. This is a chance to see them before you have to pay hundreds of pounds for a ticket. For more information and to book tickets visit our Events page.